Modern Romania has a population of 19 million and dates back to 1859. It gained independence from the Ottoman Empire in 1877. Following the Second World war it had a communist government eventually under Nicolae Ceaușescu. He was deposed and executed in 1989. It gained full membership of the EU in 2007. 81% of the population are orthodox, 4% Roman Catholics and 0.3% Greek Catholic. As Romania struggles to develop its economy in line with EU demands, it has left many ordinary people very vulnerable. The original connection was developed in the mid 1990s by Leo Edgar (now Fr Leo Edgar OP) and the Daughters of Charity. The children who had been so terribly affected by poverty (not only the ones in orphanages) are now young people needing jobs and accommodation, with many having families of their own. They are often in need of our help. The SVP in Romania was started in the 1890s, but had been suppressed by Ceaucescu’s Communist regime. 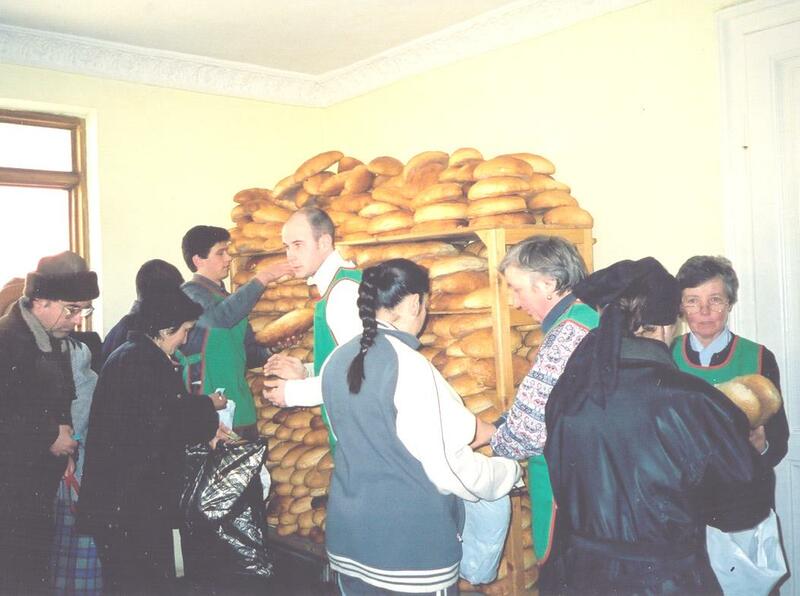 Following Ceaucescu’s fall Conferences re-formed and members supported individual families with food, clothing and medicines still the main work of the Conferences. 22 Romanian Conferences are currently twinned with 32 England & Wales Conferences. 12 Romanian Conferences each have 1 twin; the remaining 10 have 2 twins each in England & Wales. In 2015-16, £8,250 was sent to Romania. Local needs: Many Conferences have an SVP office where people can register with the Society to have their needs assessed and addressed. Members organise soup kitchens for families and canteens for school-children. The SVP in Romania has a special concern for gypsies and people with handicaps. Special projects: The Conference in Campulung focuses on the needs of former residents of the notorious orphanages, who had to leave at 18. The Impreuna (“Together”) project provides accommodation and employment for over 50 young women, incorporating a small factory preparing clothing for export, a restaurant, a laundrette, an allotment and a gift shop. The project is managed by SVP members, who also organise a daily soup kitchen for over 200 families and an after-school club for employees’ children. In Slatina, the SVP supports a social centre for the profoundly deaf offering pastoral care and advocacy, while in Vita, SVP members run 2 children’s homes for abandoned children. 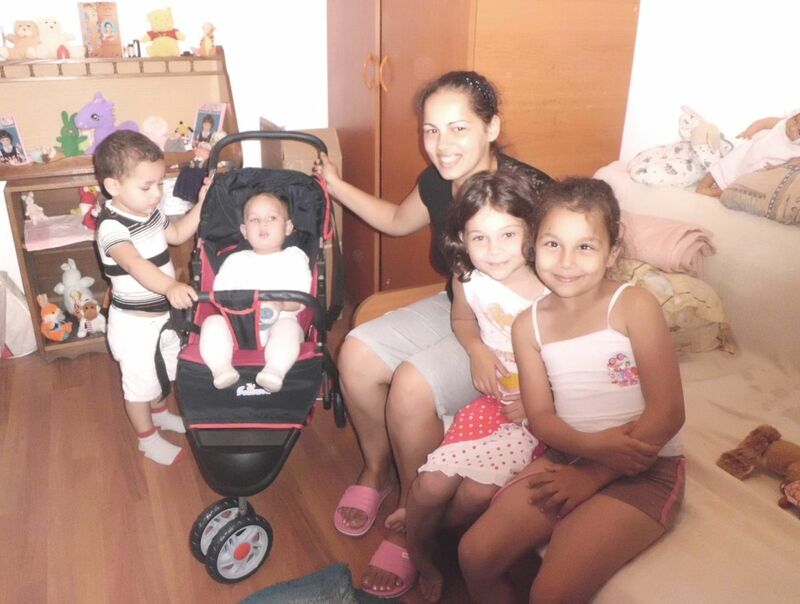 Each has just 10 children and the emphasis is on living together in a family community. Holiday schemes: Conferences run children’s camps during the long summer holidays, enabling inner-city children enjoy a break in the mountains or by the Black Sea. Members organise programmes of catechesis, outdoor activities, competitions and excursions. For further information please select the report below.